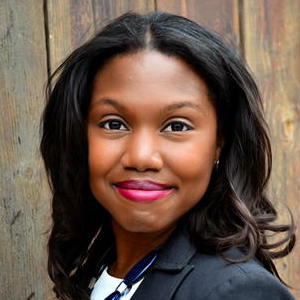 Malaika Carpenter is a solo content strategist in Philadelphia. Working on her own with non-content-focused clients has shown her the importance of having a clearly articulated, replicable content-strategy process. Malaika Carpenter is the founder and principal consultant of SayCred Media Group, whose purpose is to help companies articulate their value through concise and compelling content that delivers results. Drawing from her experience in field sales and corporate communications, she understands what it takes to create message strategies that deliver results. She has experience applying these strategies within organizations of all sizes, including large corporations and small startups in healthcare and technology. Her most recent work has been establishing communication strategies and content production processes for Philadelphia-based health tech startup Life.io. She’s been integral in creating their user onboarding communications strategy, web and mobile platform content, and promotional product materials. View her work by visiting her website and online portfolio . Hey everyone. Welcome to episode number 29 of the Content Strategy Interviews Podcast. I’m really happy today to have with us Malaika Carpenter. She’s an independent content strategist in Philadelphia. I’ll let Malaika tell you a little bit more about her background. Welcome. Thank you Larry. Thank you so much for having me. I’m really excited to talk to you today. Yes, I am founder and principal consultant of SayCred Media Group. Pretty much we are a content strategy consultancy that helps companies articulate their value through concise and compelling content that delivers results. Essentially what I do is help companies build and share their brand story. I help them getting them clear on their “why”. The “why” to me is what your brand vision is and your value proposition is and then taking that and crafting strategies for creating different types of content that ultimately pulls their audience in and then keeps them coming back for more. That’s what I do. That’s a great concise description of a practice. I love that. . . You work mostly in the healthcare sector, I think. Is that true. Yeah. I have a background in healthcare. Prior to really getting into content strategy, I started my career as a pharmaceutical sales representative. I was that person coming in and out of doctor’s offices talking to the doctors and the staff about the products that I was carrying, but through those experiences, I was understanding one, how doctors educate their patients about disease states, about treatment options and then whether or not those patients were really understanding that information. Those conversations that were happening in practices really got me interested of, how do we better communicate those things and how do we better educate people about their health and wellness and that continued this passion for doing communications within that sector. Then, I ended up getting my master’s in communications from Rutgers University in New Jersey. I really focused in health communication. With that specialization, a lot of what you are trained in doing is actually in a lot of persuasion theories and behavior change. My background was doubling down on sales, which is a lot about persuasion, but looking at it from a different coin when I got into my master’s, which is how do we change people’s behaviors to have more healthier behaviors? Then, that evolved. As I continued in my career, I had moved from being a pharmaceutical sales rep into doing corporate communications. That really pushed this passion to really explore how I could do some healthcare marketing stuff. A lot of the different organizations I’ve worked with have been within healthcare and have been within health and wellness. Just with that focus of, how do you create content that compels people to just make healthier choices and decisions. Yes, that’s how I feel into it.
. . . and maybe actually change their behavior. We all have purpose and intent when we publish content. I started my career, right out of college, I was a college textbook sales rep, which is almost completely analogous to pharma sales, so I totally get that. I wonder . . . so many people in this field come from pure journalism or writing or copywriting or other kind of backgrounds. Do you feel like that gives you a leg up, having that sales experience in the background? It’s very interesting. I knew from a very young age that I was going to be a writer of some sort. I just knew that I was going to be a storyteller. I was such a avid reader. I was so fascinated by how language can create these pictures in our heads and create these whole worlds and inspire us and sometimes compel us to do a thing, but I was always fascinated by that, so I always knew that. Even when I was intentional about pursuing marketing in my studies and then later communications in my studies, I still was, in college I was still a part of our university’s newspaper. I also did some work-study in the university’s college textbook publisher as well. I was always exploring publishing and journalism in some way. But, I think just me not having that subject matter, specifically having that depth in that, I think opened it up to being able to see different story opportunities and being able to bring in different people who have different perspectives, but who can articulate themselves really, really well. I love that. You have an unfair advantage it seems like compared to all us journalism majors that came in because I think the key think to concentrate is balancing those business needs. Then, also as a salesperson, I’m sure you got a lot of empathy for your customers. That’s the second. I would argue that those are the two top things, is that business intent, being clear in that, but also being really focused on your customers and your readers and your users, whatever you call them. Is that a valid assumption? Oh, you are dead on. That is so true because it’s, you can’t be effective in communicating a message if you don’t understand what your audience really cares about. As a sales rep, I learned that really fast because when you’re doing content strategy, you’re creating things for the web. You’re creating things for people that you might not ever see, but when you’re a sales rep, I’m going to see you and I might have to see you every week. Now, it’s a totally different reaction, but as a sales rep, you have that advantage of playing with different messages and seeing automatically how people respond. I think about it like that. No, I totally get that because there’s so, the hope and potential and everybody’s dream with digital media is like, “Yeah, we’ll just measure everything and it tells us how effective things are”, but no, you still have to look at human beings in the eye and get that. You, having done that sales thing, again, you have a jumpstart there, in terms of … But, let me jump ahead a little bit to, I know one of the things you talked about … I’m going to back up real quickly and say how I met Malaika is I was at Confab and she did this great presentation on solo content strategy practice, which I really enjoyed. One of the things you talked about was the importance of process and also measurement. I’m saying “measurement”, but evaluating the effectiveness of content. Can you talk a little bit about those two things, how they go together, how you … I guess, first talk about the process, I think, because that’s, I think, so important when you’re … Because typically, content strategy happens in the context of a big team, but usually like it. You’re the content person and you’re working with other people. I’m assuming the process is super important and managing you’re role in that. Tell me a little bit about that, how you do that. I was doing everything from strategy to execution. From doing that big process, I had to sit down and say, “How do I structure my time” because it’s very easy to get overwhelmed, particularly when you might come out of one meeting and execute on another idea, but then you might have to come over here and say, “Can you run this workshop with another client?” You’re working on several different projects all at the same time. You have to take a step back and say, “What are all of my steps that get me to ‘done'”, and then maybe work backwards from there. I really started to sit down because I’m like, “I have to build this meal and make it done and at least taste test it. That’s where the measuring comes in. That’s how I really started to look at my work. In my talk that I did at Confab, I really broke down, you need to look at your full process and literally break down each stage. Then, in each stage, you need to break down who is involved in that stage. You also need to break down what tasks are you doing in that stage and what resources, if anything, do you need, including budget. I think the more clear you are on that, the more clarity it helps with setting expectations for people who don’t do content, but you need to be helping you to do content. When I say they don’t do content, I mean they’re not the ones sitting down to write messages. They’re not the one who is thinking very editorially. They don’t necessarily do that, but you still need them to inform what you’re going to make. They’re really, really important and you need them to be on your side so that you feel supported even if you are the one executing the work, you feel supported in doing the work. Then, you need to know how to replicate the whole thing all over again. That’s where structure became really important to me because I realized none of the stuff I was doing was one off. It was something that I would have to do again and again. If I had structure around my process, I could continue to do that thing again and again and do it as fast as I was being required to do it. That’s where a lot of the structure came from. Let me ask you a little bit about that because there are two things in there. One, I can see how it would benefit both you and your practice and the clients to do it in a consistent process-oriented way, but to counter that, I interviewed Jared … You know Jared Spool the UX guy? I interviewed him a couple months ago. I’m actually on a similar, I had been working on, your talk at Confab actually inspired me even further, I’ve been working on this DIY content strategy idea, trying to help all my, the people who could never afford me or you, but who still need content strategy. I’ve been also working on articulating a process and I think I’ve come up with a pretty decent articulation of it, but does that generally work? This process you’ve come up with, have you hit any glitches or does it generally work from client to client pretty well? Yeah. I would say when I think about it, it’s more the building blocks. For example, yes, I do agree with Jared in the sense that every organization is unique. However, it’s sort of like, if I could use an analogy of a car maker. They can different model of cars, but how they make a car is usually a pretty standard process. There might be certain things that might be, we have to do it in a very custom way when the car gets to this process, but still all of those pieces are still, I would call the “building blocks” of what you do. I would say it’s good to at least have those building blocks laid out. Then, in those areas where you might have to drill down a little bit or test things a little bit differently, that’s where the custom work comes in. I would say when I, just to go a little deeper with that, I would say when I’m talking about the building blocks, I would say that process of getting in a room and helping you articulate why, helping you know what vision, mission, how those things articulate into goals, how you could take those big goals and articulate those into message goals. Those, to me, still are all the building blocks you need and it doesn’t matter how unique your organization is. Those building blocks will always be consistent. Then, taking that work, that research work you do and then moving into that next phase of planning and thinking about the different types of content that you could create based on that information that you know. That’s your next building block. I just feel like there’s certain building blocks in that process. Then, there’s going to be those moments once you get, I feel like certain things get really custom once you get to the tactical execution piece of it in my view. That’s where you need to start playing with their unique things in terms of understanding. I’ve worked a lot in the B to B space, so maybe understanding my customer’s end user or just really understanding that organization’s customers and end users in general and then you might have to tweak some things. I do agree with that, but I also feel like that’s where you have to leave room to be flexible, but I do feel like when you have templated solutions, it’s the lines that you can play within, but maybe how you color them in looks a little differently and that’s where the custom work comes from. Okay. We were talking before we went on the air about your role as an improv player. I have a feeling that this might be an area where’s there’s sort of a structure to improv, but the results and everything inside of it is unique in every performance. Does that help you in this kind of work, taking that framework, that structure, that process that you have and then taking your improv mind and going, “Yes, and we’re going to do it this way for this project”? Again, I feel like with improv, there’s rules of the game, to make sure that you’re creating an environment in which people can play. It’s the same thing. It’s the same thing. My building blocks create this environment in which I can play and be creative, yet still be able to produce this work quickly and in organized way. That’s how I see it. Absolutely, but yeah, improv has allowed me to be a lot more flexible. When things get thrown at me, for example, in improv, when you play improv, you get suggestions. Sometimes you’ll say to the audience, “Hey, give us just one word. Throw us one word.” Someone throws out “carrot” or whatever. Now, you take carrot and you contextualize carrot to whatever it means to you and you throw out your initial idea. You initiate an idea. All of your other players will just build on whatever you initiated. There’s some rules to even that to make sure that your scene makes sense, but from there, you just continue to build on it. Everything becomes an option, but one that we have to sit down and say, “Is it feasible?” Not a question of, “Is it possible?” Totally, it’s possible. I think that’s the improv part of it. Anything is possible. But, there’s also this term in improv where it’s saying play to the top of your intelligence. Usually, what that means is, for example, if I am playing as a doctor, I’m not going to do something so loony that’s completely out of the confines of what a doctor would do. I’m not going to play outside the top of my intelligence. That gets both to that idea, that improv idea of setting the ceiling and setting expectations. Is that an accurate takeaway from that? I would say I think we all, I think when you’re creating something, you always want it to be the very best that you can be, so you’re always going to look at the complete gold standard and say, “I want to be that.” I think that’s amazing because it’s always going to help you to strive to be better, but you have to be realistic with where you are today and then also realistic with what it takes for Amazon to be an eCommerce site that runs the way it runs and Huff Post to be a site that runs the way it runs and so on and so forth. It’s taking an army of people to run those engines and especially those content engines. It is setting those expectations by being really realistic about what does it take for you to produce content in that way. Then, once you have that reality, you can start to say, “Okay, I need to be slightly more realistic, but what are certain aspects and principles that I can do today?”, and see how that operates and then build upon it. And, in some cases, based on what your audience, you might not need to create something like a Huff Post. You know what I mean? That’s a whole other thing that you might be creating your own lane and not even realize it because we have to do the work of you getting to know your audience truly. That’s a whole other thing, a whole other possibility. Exactly. It’s a whole … I can think of three or four other conversation that I had with you. We’re coming up on time, just a couple, three minutes left. I always give my guests the chance – anything last, anything we haven’t covered that’s on your mind or that just, like content strategy wisdom or insight that you have that you want to, would like to share with my folks. I understand what people are saying when they’re like, “Be more human.” I think it’s more of let your interactions be genuine. Let them be authentic. Let them show up as you online. I think more and more as people start to figure that out, it’s such an amazing time to be a content strategist and as media platforms, social media platforms continue to populate, there’s this opportunity where everyone can be the media, in a way. As we figure out how that works, there’s so much opportunity I think for people, specifically content strategists to define that. I think there’s an opportunity for us to define what being more human is about. I think part of what it’s about is how do we check our bias when we’re creating and designing things. How do we make sure that we’re including the communities that we want to serve in our designs, in the testing of our designs. I think it’s also really about you showing up and also just challenging your own self. Then, on top of that, I think it’s also finding those ways to, like I said, create structures and patterns for the things that you do. As you learn to be more authentic, what are the structures and the tenets of that so that we can be replicating them more and more. Same thing for inclusion. What are the tenets of that so that we can teach that and so that the things that we design, those elements just show up more and more and more. I just think it’s a really exciting time to be a content strategist for those reasons. I agree. I was excited about it too. Now, since just your last two minutes, I’m ten times as excited. Thank you. Thanks so much. Thanks so much Malaika. It was great having you on. I literally can think of 10 other things to talk to you about. Maybe I’ll hold out the option to maybe call you back at some point. That would be great. Thank you so much. I’d love to be back on and chat. It was really good chatting with you.